A woman’s fertility is often taken for granted but 1 in 7 women who try to conceive have trouble. If you are trying to have a baby you probably want to know how to boost your fertility and increase your odds of conception. Some fertility factors are known and within your control but many are unknown and uncontrollable. If you do have difficulty conceiving, don’t beat yourself up – be as healthy as possible but remember too that you have limited control over your own fertility. What Factors Affect Women's Fertility? A woman’s fertility starts to gradually decline around age 27 and drops off dramatically after age 35. Women in their twenties have a 20 to 25 percent chance of pregnancy each month. At 30, the chance of becoming pregnant in a given month drops to around 15 percent and by 35, the likelihood is less than 10 percent in a given month. A woman is born with all of the eggs she will ever have so as she ages, she has fewer eggs and the percentage of genetically normal eggs declines. Women in their twenties have greater pregnancy odds since they have more eggs and a higher ratio of genetically normal eggs. Twelve percent of all infertility can be linked to weighing too much or too little. What is the ideal weight for optimal fertility? According to Harvard researcher and “The Fertility Diet” co-author, Dr. Jorge E. Chavarro, “The ideal BMI is between 20 and 22. Women who are overweight or obese (BMI of higher than 25, and higher than 30, respectively) are at an increased risk for infertility due to anovuation. Even women who are at the higher end of the normal BMI range tend to have a slightly higher risk of infertility. 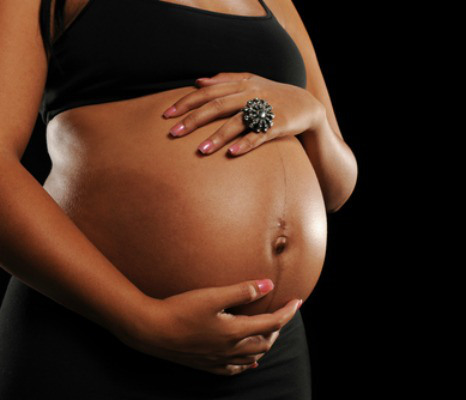 On the other hand being too lean can also lead to lack of ovulation and infertility." A severely underweight woman (with less than 17 percent body fat) may have irregular ovulation, reducing their odds of conception. This is most common in women who are athletes or have an eating disorder. Maintaining a healthy BMI will help you achieve your optimal fertility. It’s not a surprise but poor nutrition, smoking, and alcohol consumption take a toll on women’s (and men’s) fertility. The Nurses' Health Study, an eight-year study of more than 18,000 women, examined the effect of nutrition on a woman’s fertility. What it found was that eating lots of easily digestible carbs (like white bread, potatoes, soda) increases the odds of ovulatory infertility, while choosing slowly digestible carbs that are rich in fiber can improve fertility. The study also concluded that getting more protein from plants and less from animals lowers the risk of ovulatory infertility, and that the higher the consumption of trans-fats, the greater the likelihood of infertility. Smoking can also delay the time it takes a woman to conceive and increase her risk for miscarriage. And exposure to second-hand smoke can impact infertility just as much as smoking does. For a man, excessive alcohol consumption (two to four drinks per day for over two months) can diminish fertility and for a woman, even moderate drinking can make it harder to get pregnant. Caffeine consumption may also increase the time it takes to conceive - one study showed that women who drank more than one cup of coffee a day were half as likely to become pregnant per cycle compared to women who consumed less. Stress can interfere with a woman’s ability to get pregnant. A study conducted by the Domar Center at Boston IVF looked at the effect of stress-reduction on fertility. It found that infertile women who underwent a 10-session relaxation training and stress management program had increased pregnancy rates. Fifty five percent of women who participated in the stress-reduction program conceived within one year while only 20 percent of a control group conceived during the same time period. Alice Domar, author of “Conquering Infertility” and executive director of the Domar Center, was a co-author of the study. Domar says that stress, anxiety and depression hinder fertility. “Women who are depressed take longer to get pregnant.” she says. “If you’ve been trying for a while to get pregnant and you’re not, I would say look at your stress level, your anxiety level, and possible depression. Check in with yourself. Most women have a pretty good sense of how they are doing.” She suggests learning stress management skills and potentially seeking the help of a therapist to help treat the anxiety, stress, and/or depression that could hamper your fertility.